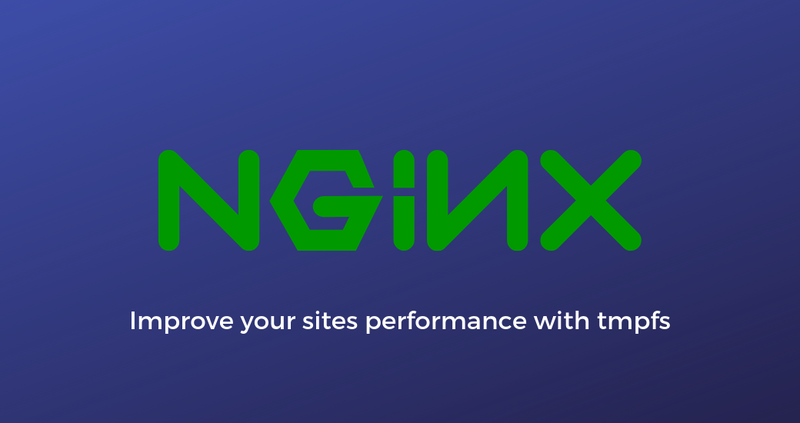 If you are using ngx_pagespeed, fastcgi_cache or proxy_cache with Nginx, you can easily improve your sites performance by mounting Nginx cache in RAM with tmpfs. Just make sure there is enough free RAM on your server before mounting a directory with tmpfs, you can use the command free -h to check RAM usage. Usually fastcgi_cache_path is /var/run/nginx-cache and proxy_cache_path is /var/cache/nginx. Then to make this configuration permanent, you can add the following line into /etc/fstab.